Tuberculosis is a communicable chronic disease caused by the organism Mycobacterium tuberculosis. The disease primarily affects the lungs and causes pulmonary tuberculosis. It can also affect intestine, meninges, bones and joints, lymph glands, skin and other tissues of the body and hence causes secondary tuberculosis. 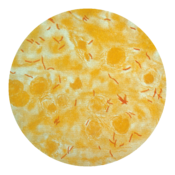 Drug resistance means that the antituberclosis drugs given during the treatment do not kill certain strains of tuberculosis bacilli. Some strains can be resistant to one or more drugs. WHO defines a multidrug resistance (MDR) strain as one that is at least resistant to isoniazid and rifampicin. a) Treatment with two or more drugs in combination. b) Using drugs to which the bacteria are sensitive. c) Ensuring that the treatment is complete, adequate and regular. WriteWork contributors. "Report on Tuberculosis" WriteWork.com. WriteWork.com, 09 May, 2004. Web. 19 Apr. 2019.